September 10, 2007, L. G. Crabo. Euxoa difformis is a variable late-season small to medium-size Euxoa (FW length 11–17 mm) with gray-brown to orange-brown forewings with dark markings that include a round orbicular spot filled with light gray and dirty off-white to yellow-gray hindwings with a scalloped postmedian line and gray submarginal band that flies in dry open habitats. Males tend to be larger than the females. 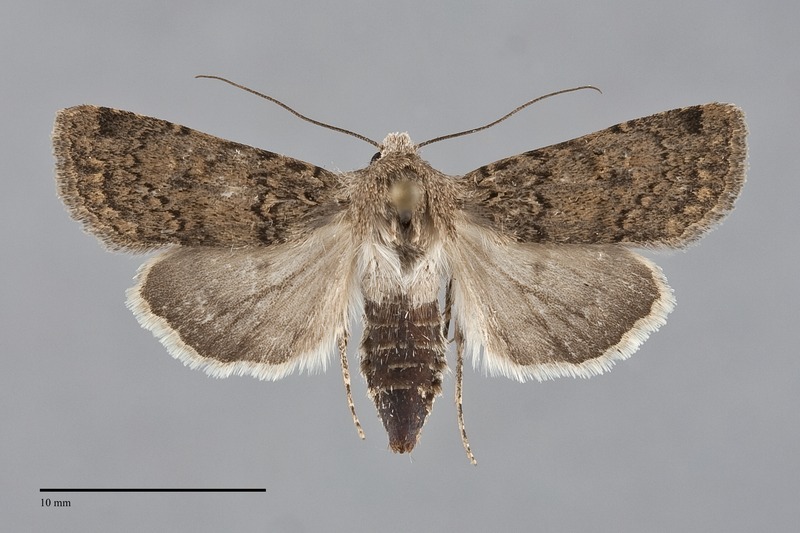 The forewing is relatively short with a pointed apex, although small females often have rounded wings. The ground color varies considerably, most commonly a shade of gray-brown ranging from light to moderately dark and from predominantly gray to warmer tan or brown. A trend toward darker brown specimens from mesic habitats exists, and a distinctive populations from south-western Oregon are orange-brown. 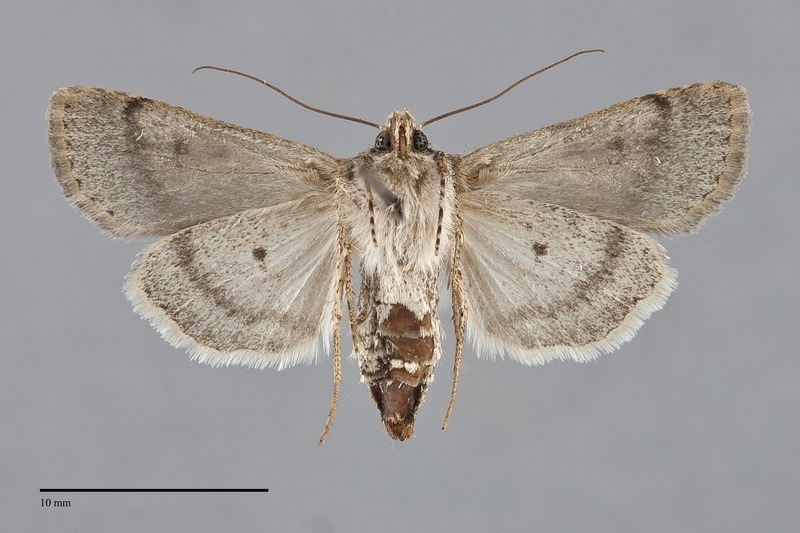 The wing is slightly powdery, and the median area and distal wing are mottled with gray. The strength of the dark pattern is also variable, ranging from nearly absent to strong and dark. The basal and antemedial lines are dark gray, double with components of unequal strength filled with a slightly lighter shade of the ground color. The antemedial line slants toward the outer margin and its lateral component is darkest, bulging toward the outer margin between the veins. The median line is dark gray, absent to prominent, moderately diffuse, bent in the lower reniform spot. The postmedial line is double with a consistent dark inner component that is toothed on the veins and a smooth outer line that varies from prominent to absent; it is drawn basad on the costa, is smoothly convex on the anterior wing and nearly straight or slightly concave from the mid-cell to the posterior margin at a 45° slant. The subterminal line is pale gray-tan, powdery, usually complete but sometimes broken into spots, slightly irregular with a weak to moderate W-mark on veins M3 and CuA1. It is preceded by a powdery gray shade that is strongest on the costa. The terminal line is variable, absent, thin, or a series of dark spots that produce a scalloped appearance to the base of the fringe. The fringe is similar to the terminal area. The orbicular and reniform spots outlined in dark gray to black and are moderate-sized. The orbicular spot is round or oval, often open toward the costa and posterior margins, filled with the ground color or pale gray and often containing a weak ocellus. The reniform spot is kidney-shaped or weakly hourglass-shaped, often incomplete anteriorly and posteriorly, usually lined with a pale shade of the ground color and filled centrally with slightly darker gray, darkest at the lower end. The claviform spot is absent or represented by a few gray scales. The hindwing is pale tan or yellow-tan in males, with gray veins, discal spot, thin scalloped postmedial line, and a submarginal shade, and a thin terminal line; that of females is darker tan-gray with faint discal spot and postmedial line. The hindwing fringe is pure white. The head and thorax match the forewing color and lack dark marks. A frontal tubercle is present. The male antenna is bipectinate with asymmetric branches, longer anteriorly. 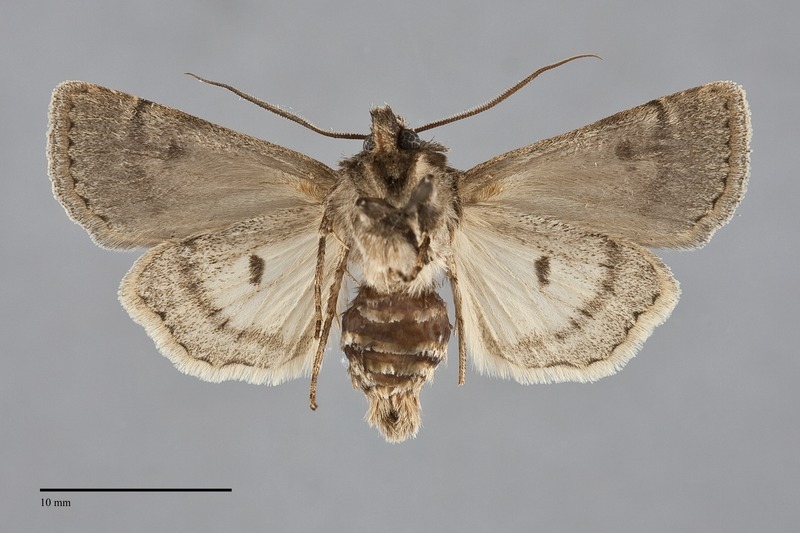 Euxoa difformis is a member of the large subgenus Euxoa. 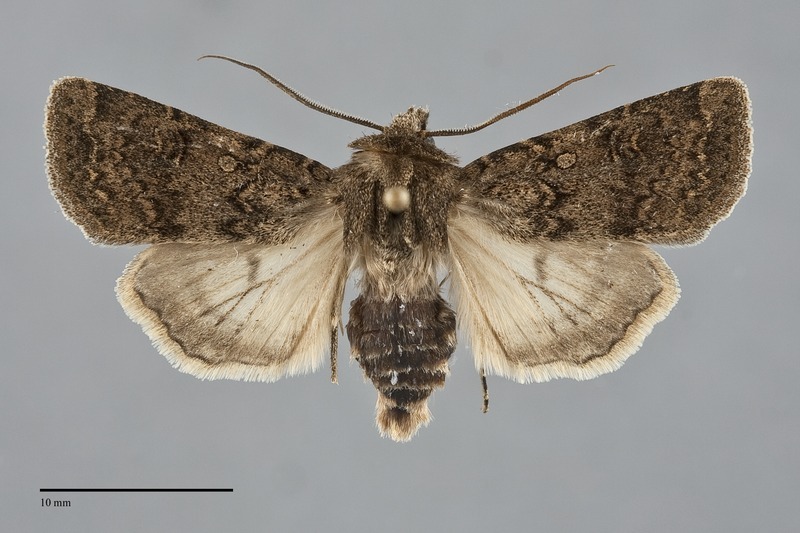 The gray-brown forewing of most populations of E. difformis resemble those of many other late-season Euxoa species, but this common moth can usually be identified by its pattern, especially that of the hindwing, despite its drab color and significant variation in size, color, and pattern. 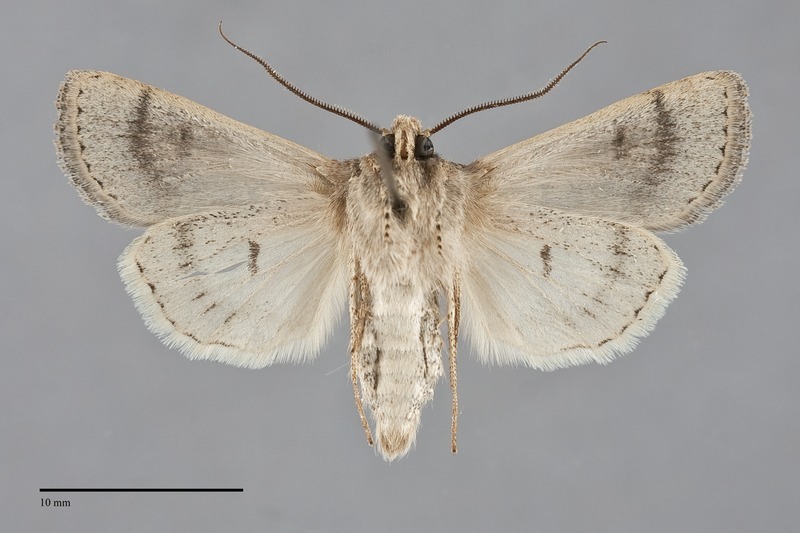 In males of E. difformis the combination of gray or yellowish off-white color, scalloped faint postmedial line, and faint submarginal band that leaves a stripe of the ground color at the outer margin are characteristic. Females have a less specific pattern, but most other species with a similar forewing have lighter hindwing than E. difformis. The most useful features of the forewing for identification are the short shape and pointed apex, the anterior position of the excurved segment of the postmedial line, and the round or weakly oval orbicular spot that is filled with the ground or slightly lighter gray. The species with the most similar females are Euxoa mitis and Euxoa cona, both fall-fliers from steppe habitats. 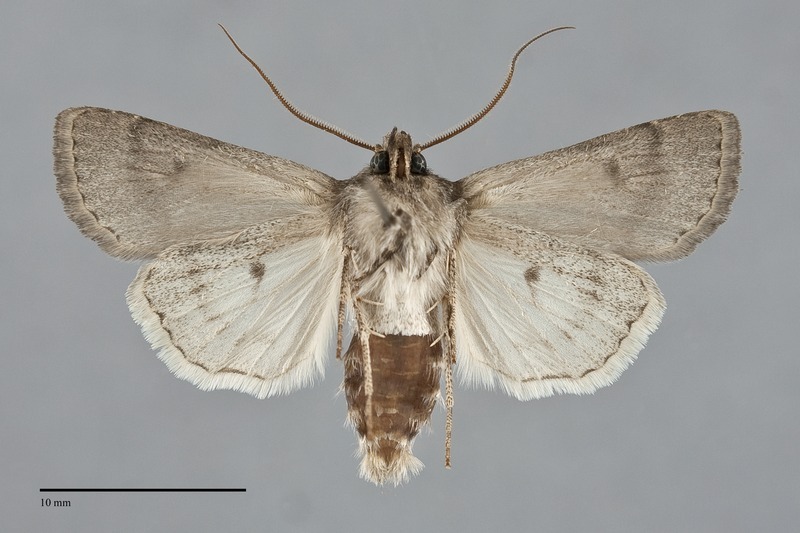 The wing of E. cona is more powdery than that of E. difformis, and the female hindwings of both species are lighter, usually whitish with gray suffusion. 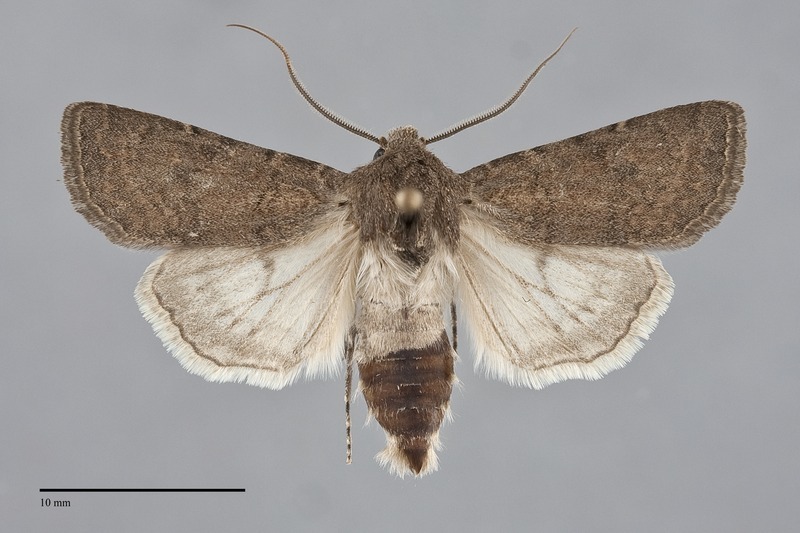 Agrotis orthogonia, a pale gray species that flies with E. difformis in southern Oregon, is similar in general pattern but differs from it in having a prominent claviform spot. Orange-brown populations of E. difformis from southwestern Oregon are similar to Euxoa tocoyae, but it flies much earlier in the year so that they can be distinguished reliably by dates. The type locality of Carneades difformis Smith is Oregon. This species is widely distributed in dry forest and grassland habitats. West of the Cascades, it is moderately common in low-elevation native prairies, disturbed dry grasslands, oak savanna, and in oak woodlands. It is also common on rocky serpentine ridgetops in the Siskiyou Mountains of southwestern Oregon. In northwestern Washington and adjacent southwestern British Columbia it occurs on remnant grasslands near the Gulf of Georgia (Salish Sea). It is most common east of the Cascades where it flies in dry open ponderosa pine and juniper forests, particularly in the Blue Mountains, as well as in open sagebrush steppe. It is rare at high elevations except on exposed ridges in mountains bordering steppe regions. 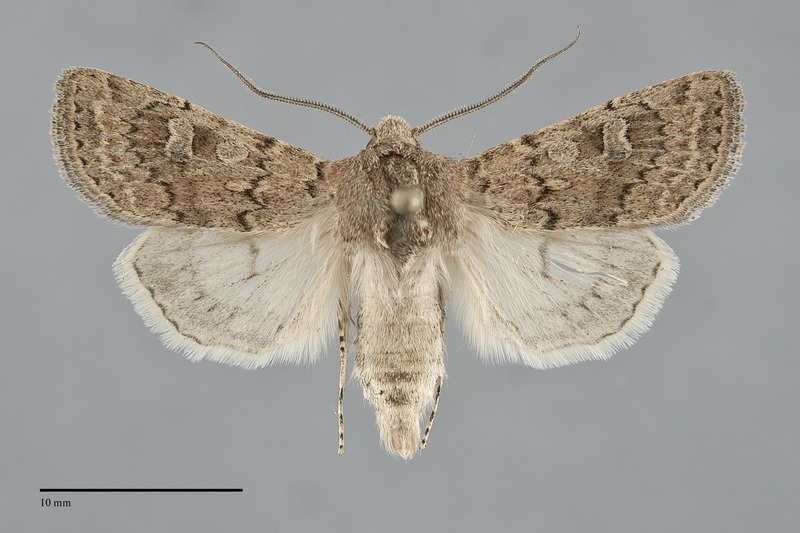 Euxoa difformis is widely distributed in the dry interior of the Pacific Northwest south of southern British Columbia. It has a slightly more limited distribution west of the Cascade Mountains near the Gulf of Georgia. 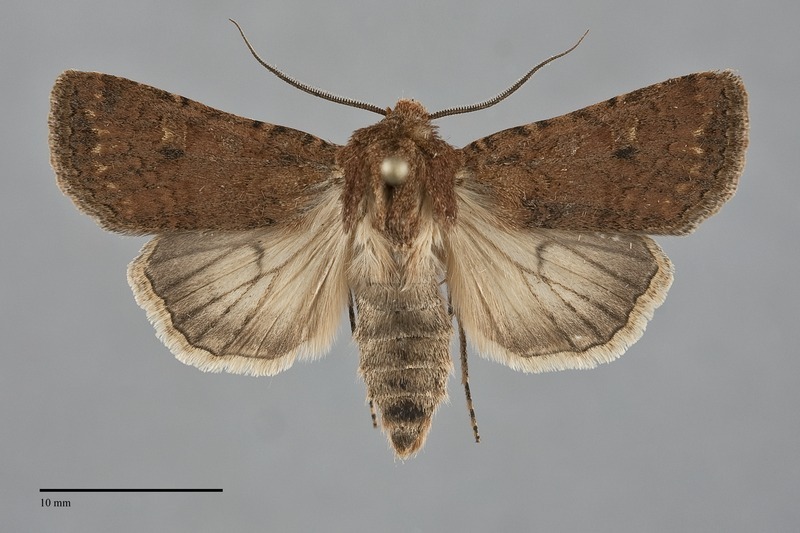 In this region it flies in southwestern British Columbia and northwestern Washington, and in the Willamette Valley and Siskiyou Mountains of Oregon. 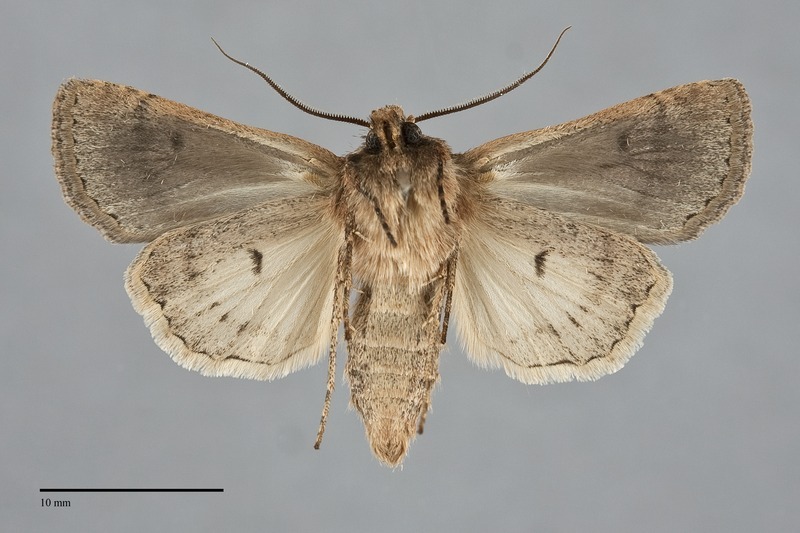 The range of this species extends east to Saskatchewan across southern Canada, and to the western Dakotas, central Colorado, and southern Arizona further south. The southern limits of the range is in southern Colorado, southern Arizona, and Baja California, Mexico. Adults are single brooded and fly in the fall, beginning in late August in our region. They are nocturnal and come to lights.